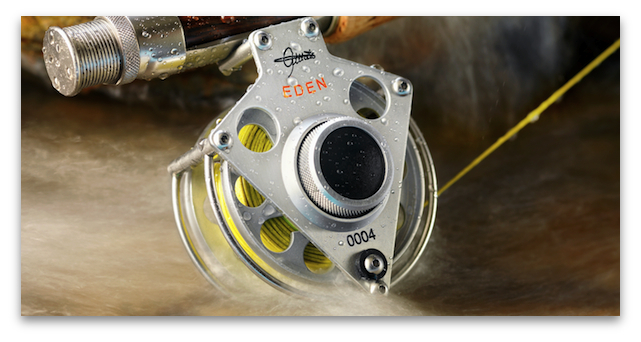 Here's some reel eye candy, if you're into modern looking fishing gear. 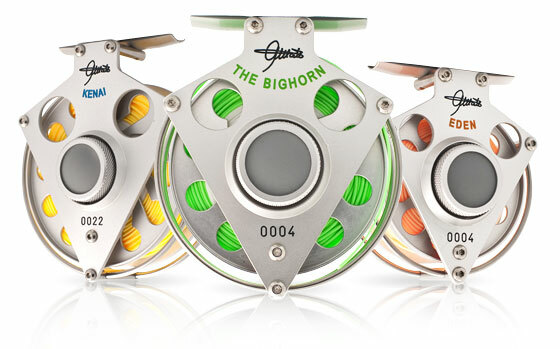 The F-Series from Exclusive Reels. Stumbled upon it in an ad in Ten & Two Magazine (Thanks to Leigh at FinFollower for turning me on to the mag). 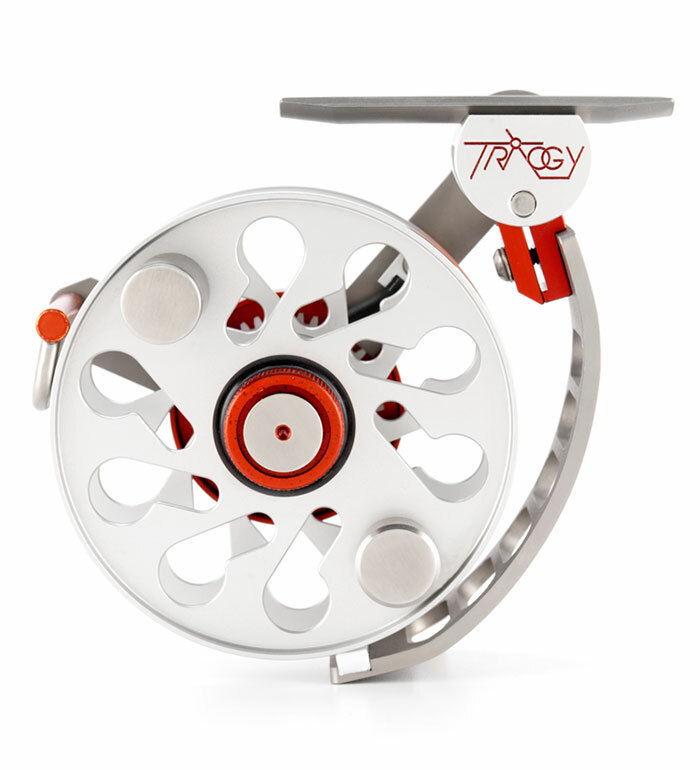 I'm thinking this reel probably wouldn't visually match up with a bamboo rod all that well. I guess not a tenkara rod either since they don't use reels. Actually, I'm not sure what kind of rod it would match. That said, I kinda like the idea of fishing with a reel that also looks like it could double as some sort of weapon of impalement. Check out the video to make her scream. You know you want to. By the way, there's a Trilogy Series too...but that's just a bit too far out in left field, even for me. I have no idea if these reels actually perform well, but what does that matter? It's always more important to look the part, right? While I hold no association with these guys, if you just have to learn more about them, you can check out the specs on these reels or any of the other fashion-forward fishing gear that "master designer" Ari 't Hart is churning out over in Holland at exclusivereels.com. Google "Ari Hart" ... he was designing the predecessors to these reels 25 years ago. An ATH reel resides in the Museum of Modern Art in NYC. @FHC - I like them myself. At least the first series. Different is good. @Owl - Budgets are relative. That Trilogy will put you back 2 grand...is that in your budget? @Kari - Shiny is good. My wife thinks so too. @BKill - They noted that on their website as well. The mind of an artist never ceases to amaze. Seems to lean to the Sci-Fi side of fishing reels, which is very cool in my book. I'm not here to be critical. They are pretty, but I'll stick to my old school click-pawl reels. For a reel to cost that much it should also make coffee and serve it hot.